My favorite Halloween treat has to be the sugary-goodness that we all know as candy corns. Each year, for some unknown reason, I am compelled to eat so much of the stuff in one sitting that I become sick and don’t want to look at another candy corn for at least another year. Well, this year I have a plan. 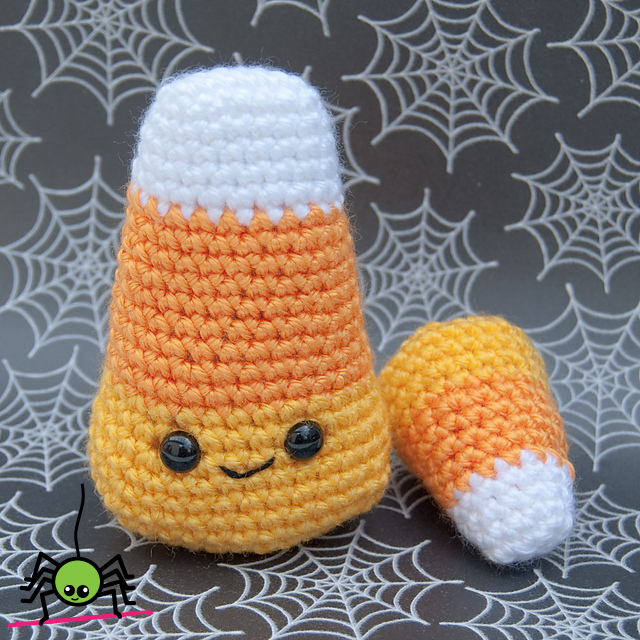 Instead of eating the candy corns, I’m just going to love them… kawaii amigurumi style. So, whadda you say? Care to join me for a little candy corn party?